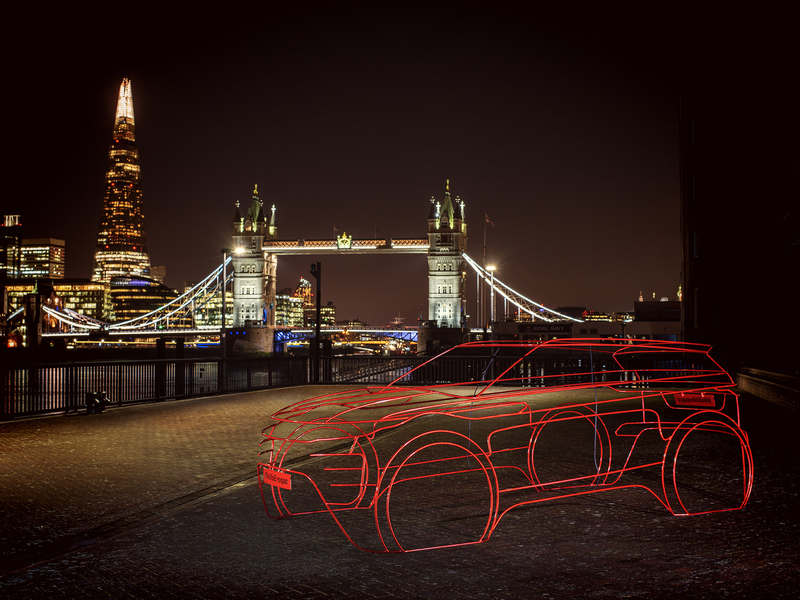 Brightly-coloured art installations inspired by the new Range Rover Evoque have been displayed in London ahead of the launch of the luxury compact SUV. The full-scale wire form models took over four exclusive locations in the city, stopping Londoners in their tracks. The bespoke sculptures, finished in distinctive shades of copper, red and blue, were designed by Land Rover’s own Design team. Three of the eye-catching sculptures were parked at exclusive addresses around Kensington and Chelsea.